Taste: First infusins very aromatic sweet, resemble milk. Following infusions are more endowed with floral and greenish taste notes. Product highligths: Milk Oolonk is made from qualitative Tiegunayin type oolong material and undergone light flavouring process. 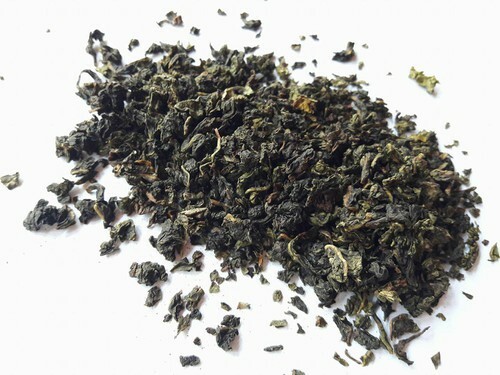 Ideas was generated from high class oolong called Guanyin Wang and some extremely delicate Taivanese type oolongs, both of them have naturaly developed sublte hints of milk. However these type of teas are to be very seldom found and have cost of fortune. Because of demand, most of tea companies producing milk oolongs by themselves.